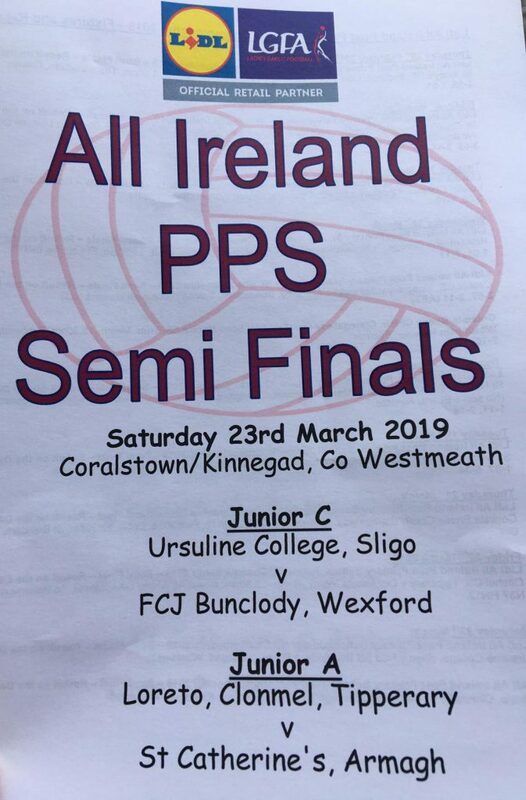 Disappointment for our Junior A footballers in the All Ireland semi final on Saturday,23rd March as the game slipped away from us in the second half! Congratulations to St Catherine’s, Armagh who will now progress to the All Ireland Final. Hard luck to the team and their coaches,and although the result did not got our way, we are very proud of the panel and all involved. Thanks to all our staff, families and friends who made the long journey to Kinnegad, Co. Westmeath to support our team.